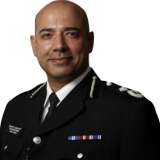 Blog: CC Sara Thornton - Police funding: do we have the resources we need? The counter-terrorism coordination committee has responsibility for devising and driving national Counter Terrorism (CT) and Domestic Extremism (DE) strategic policy through the UK National Counter Terrorism Policing Headquarters (NCTP HQ) and reports to the NPCC and the government. The counter-terrorism coordination committee's members includes senior officers, senior representatives of government departments and other agencies including the Security Service. The counter-terrorism coordination committee area leads for the police service on CT and related issues, developing police service strategy. The coordination committee liaises with government and other partners on behalf of the police service. Unlike many other coordination committee, the counter-terrorism coordination committee includes a small number of chief police officers dedicated full-time to the business area. These officers provide strategic direction and co-ordination relating to particular policing themes. In addition, the counter-terrorism coordination committee Vice Chairs have also assumed complementary roles as senior sponsors of policing themes that largely reflect the Protect, Prepare and Prevent strands of the government's counter-terrorism strategy, CONTEST . The counter-terrorism coordination committee has also overseen the development of the counter-terrorism network, a series of dedicated CT policing units that have been established across England and Wales, working in collaboration with the (pre-existing) Counter Terrorism Command (CTC), within the Metropolitan Police Service (MPS). These units are regionally based and resourced by police forces. Their role includes gathering intelligence and evidence to help prevent, disrupt and prosecute terrorist activities. As a whole, the CT policing network has a wide range of experts including, but not limited to, skilled detectives, financial investigators, community contact teams, intelligence analysts, forensic specialists and high-tech investigators. Over 800 potentially lethal weapons have been seized and 282 suspects arrested during a month-long operation aimed at preventing criminals and terrorists gaining access to illegal firearms. New legislation came into force at midnight banning National Action. Vacancies | National Police Chiefs' Council, 1st Floor, 10 Victoria Street, London SW1H 0NN.